Dry skin or dehydration of superficial layer of skin &is caused by inactive oil glands that don’t produce enough sebum for lubrication.It is a very common condition and is especially prevalent among elderly and in arid climates. It more commonly affects lower legs but may affect any area of body. If severe enough it can lead to irritation and itching leading to Eczema. Topical preparations: containing humectants that hold water on skin, such as lactic acid, urea based creams,hyaluronic acid, allantoin containing creams, lotions are preferred. Systemic treatment:retinoid can be given in cases of ichthyosis, and should be taken as prescribed by physician. Why Skin & You Clinic for Dry Skin? We at Skin & You Clinic, have some customised procedures depending on the extent of dryness of skin in the individual which can be done in combination with the prescribed topical preparation to have a better and long lasting improvement. 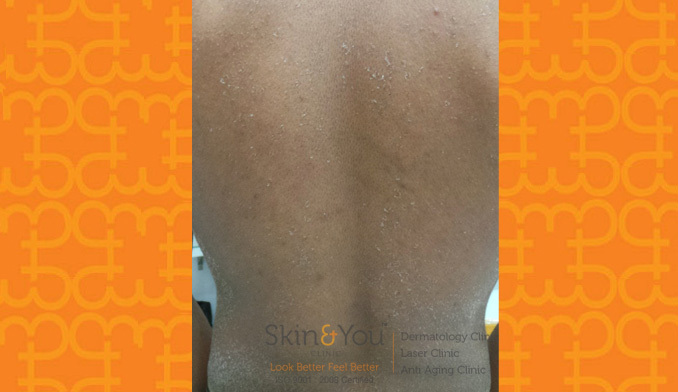 Why Skin & You Clinic for Xerosis? We, at Skin & You Clinic, assess, examine and treat all dermatological conditions with utmost care. Use of the ideal moisturiser is essential for dry skin conditions. We advise from a range of products to help you with your condition.